WRAP has launched its Roadmap outlining the key actions it suggests businesses should take to meet the targets of its UK Plastics Pact. The new ‘Plastics Pact Roadmap to 2025’ is formed of a series of milestones aligned with the targets of the Plastic Pact, which was launched in April and is designed to tackle the issue of plastics waste through collaboration across the entire supply chain. It has been designed by WRAP as a living document that will evolve over time, reflecting changes in policy and innovations. The Roadmap also includes commentary on the complementary roles of Government and citizens to ensure the UK moves towards a circular economy for plastics. Achieving the milestones will bring “huge benefits” for the UK, says WRAP, but will require “tough decisions to be taken” and “significant investment made”. Publication of the Roadmap precedes the forthcoming Resources and Waste Strategy, which is expected to outline policies that will help drive forward the plastics agenda. “I’m very impressed with progress made in the first six months since we launched the Pact. This is proving to be a powerful and motivated group. The Roadmap is a real opportunity for them to forge ahead and make change happen at scale, and in significant ways,” said Marcus Gover, Chief Executive of WRAP. The Roadmap includes three milestone dates: April 2019, the end of 2022 and, finally, by 2025. Within these timeframes, WRAP says it aims to move plastics from being “a single-use, disposable material to a valued resource”, in line with the circular economy model, while avoiding unintended environmental consequences of actions such as substitution or blanket removal which could lead to increased greenhouse gas emissions and/or increased food waste. It also says the outcomes of the Roadmap will help reduce confusion as to whether packaging is recyclable; if the targets are achieved, all plastic packaging will be recyclable or compostable by 2025. The roadmap also sets interim targets for increasing recycling and recycled content. Achieving this will, it says, require investment in the UK recycling infrastructure and would be expected to generate new jobs, while easing the pressure of plastic waste exportation. WRAP will also look to utilise flagship projects to tackle the barriers to improved sorting, recycling and use of recycled content. To support this a £1.4 million flagship projects competition was launched at the UK Plastics Pact Summit, in October. The competition forms part of the £20 million Plastic Research and Innovation fund, which was announced by the Chancellor during the Autumn Statement in 2017, to engage Britain's best scientists and innovators towards sustainable approaches to plastics. The need to drive demand for recycled content was highlighted in the recent budget proposal from the Chancellor, which sets out to consult on a new tax to all plastic packaging that doesn’t include at least 30 per cent recycled content. WRAP says it hopes that members’ support, coupled with Government intervention, will send a strong signal about recycled content to the market, creating demand to help investment in recycling infrastructure. Now the roadmap has been published, WRAP will continue to encourage UK Plastics Pact members to work collaboratively to influence design and selection of packaging materials and products; both own label and branded. In the coming months, it will publish further guidance on recyclability. To achieve the roadmap milestones, it says members will need to create their own action plans that support each target. WRAP will monitor progress and identify the opportunities for sharing good practice and convening collaborative action. WRAP is leading several work streams ahead of the first milestone, including the development of a strategy for recycling household film and several trial projects, as well as developing criteria for unnecessary and problematic plastics, and options to tackle them. Vanden UK, a plastics recycler based in Lisburn, has welcomed the Roadmap, but has called for more work on the recyclability of plastic packaging. "There is a lot in the UK Plastics Pact Roadmap to 2025 that is very positive. 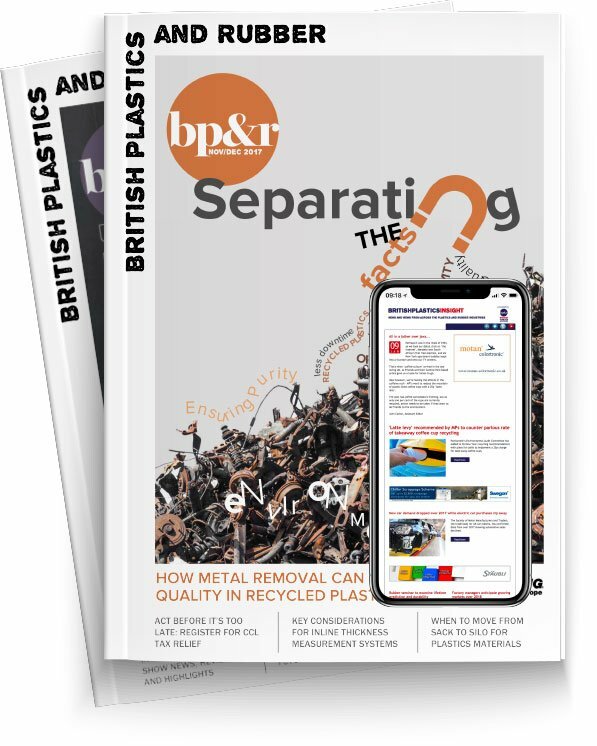 As a UK plastics recycler, we would certainly hope that this leads to more demand for recycled content and increased investment in UK plastic recycling capacity,” said Vanden UK’s Managing Director, David Wilson. Wilson also questioned whether a possible increase in supposed compostable plastics would make recycling messaging less effective while also leading to more contamination of recycling streams.